I recently completed a couch to 5 km (30 mins) program. During the last 2-3 weeks I started getting a dull pain in the lateral part of my knee. It only hurt while running. At first it was only when I ran on concrete, so I ran on softer surfaces. Now, it it hurts even when running on the treadmill and has continued to be tender even after running. I even took a week off after I completed the program. The next week when I ran 3.52 miles in ~40 mins, the pain came back. I have New Balance shoes that I bought online. They are a couple years old, but they have less than 200 miles on them. Well you didn't really ask a question, but I guess you'd like to know what is happening and what you should do to get rid of this running injury? The lateral knee pain is probably something also referred to as ITB, iliotibial band syndrome. It is caused by too much stress on the knees, either due to hill running, too much mileage, bad running shoes, etc. This sounds like a case of "too much too soon". 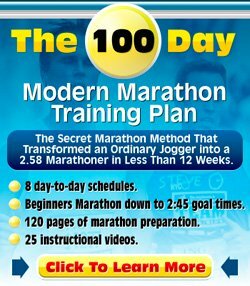 My own "couch to 5K"-program, Beginner Running Program 3 takes 12 weeks to complete. That's long compared to many beginner running programs. But it is that long for a reason, because in the beginning you need to focus on building up very slowly. Your legs need to get used to the exercise. I advise you to have a look at my Iliotibial Band Syndrome Page. Take it easy for a while and best of luck. You need to be careful. I also started an 8 week running program. 2 weeks into it I had terrible knee pain and had to go back to walking for a while until it healed. I had my shoes evaluated and found that I didn't have enough cushion. I also found that 30 minutes of walk/run on a body that hasn't been off the couch in 15 years was too much. I was fortunate to find Dominique's 12 week program. New shoes and the shorter workout seems to be working fine. I'm on week 4 and have had no pain. If I do feel tired, I'll take a day off.